I have a BSc in Politics and MSc in Gender and International Relations from the University of Bristol. My PhD supervisors are Prof. Jutta Weldes and Dr Karen Tucker. Member of the SPAIS Gender Research Centre, the Global Insecurities Centre, and the Bristol Festival of Ideas advisory board. Nominated for the 2014/15 and the 2017/18 Bristol Teaching Awards (category: Outstanding Teaching by a PG Student Award). 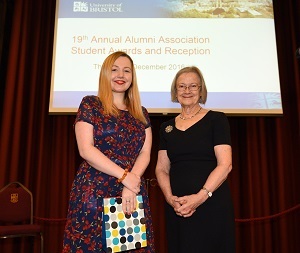 Winner of the 2016 Alumni Association Student Awards for contribution to the University and/or local community (photo credit, above: Bhagesh Sachania). Aside from my PhD research and teaching, I enjoy participating in public engagement events, especially with colleges and schools, as you can see below. If you would like me to speak at your school or event, please do contact me. My PhD examines how UK state identity is constructed in online British mainstream media representations of the 2011 conflict in Libya. Using a discourse-theoretic approach, I draw on David Campbell's work Writing Security to show that this conflict is represented as a threat in myriad ways, re/producing the identity of the UK as a state in the process. In this case identity constructions rely upon an identity/difference binary which draws heavily upon gendered-Orientalism to code the UK as positive (moral, enlightened, a leader) and Libya as negative (violent, backward, tempting, childlike). In addition, I argue that the format of online news (with hyperlinks, embedded videos and the facility to use additional images) reinforces these constructions by presenting the same discourse in multiple ways. 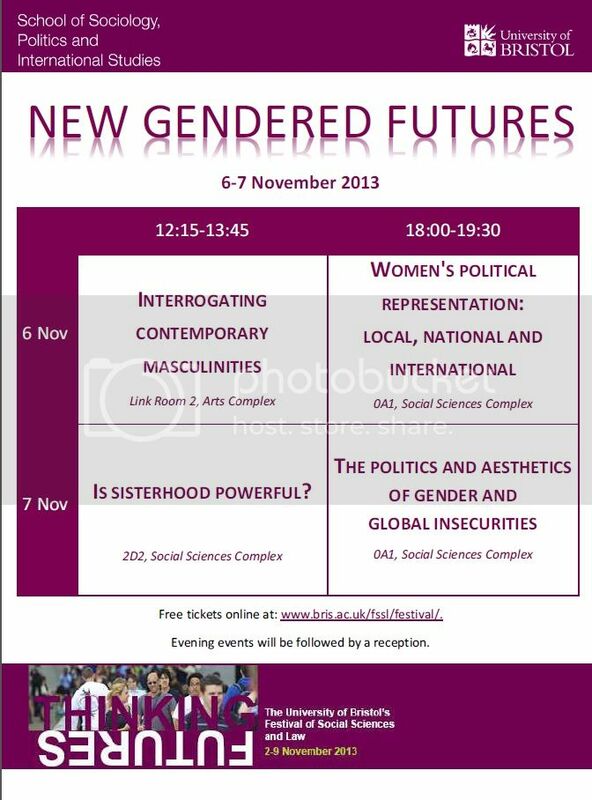 Security, state identity, gender (especially masculinities), Orientalism, discourse, media, technology. Now that the project has finished, you can find our catalogue of lessons identified here, our handbook here, and policy briefing here. Jester, N. (2017) 'Review: Quality Peace: Peacebuilding, Victory, and World Order', International Affairs, 93(4): 978-979. 02/02/2017 Panellist, Why Masculinity Matters, with Meenakshi Bala, Medical student (MBChB) and sub-editor for gal-dem.com, Amit Singh, Co-editor, Consented, Dr Patricia Neville and Dr Bradley Stephens. Topic: Masculinity and security in an uncertain world. 24/10/2016 Chair and co-organiser (with Bristol Festival of Ideas), 2017: War with Russia Panel with NATO's former Deputy Supreme Allied Commander for Europe General Sir Richard Shirreff, Prof. Tim Edmunds, Dr Ana Juncos and Samuel Rogers. Photo credit: Julio Hermosilla. 11/3/2015 Panellist, Young People’s Festival of Ideas: The Suppressed Majority? What does it mean to be a modern man? I am a contributor for Rife Magazine for young people. My aim is to make academic ideas simple and bring them to a wider audience. 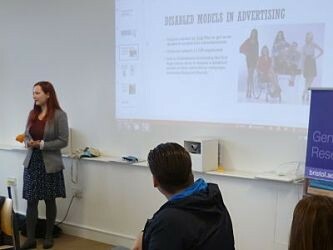 05/03/2019 Co-creator and facilitator, Widening Participation-sponsored Decoding Gender in the Media workshop. i did not organise the workshop this year, this task fell to Jutta Weldes and Henrietta Wilson. 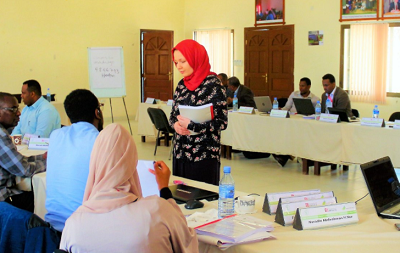 I act as the first assessment marker for Dr Emma Brännlund's third year Theories and Practices of Securitisation unit (UZQNJN-30-3) at the University of the West of England in 2017-2018. 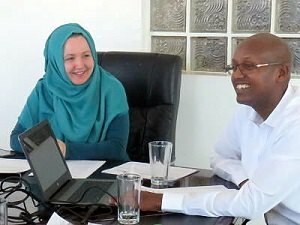 I was (2015 - 2017) also the unit owner for Gender and Social Research for the international HQRS programme as part of the award-winning Somali First initiative. In line with my PhD research on online news, I have an interest in technology, and have created websites with additional resources for both the units on which I teach regularly (Political Concepts and Approaches). These contain blogs, Youtube lectures, news articles and more in order to provide students with different means of learning. In recognition of the fact that teaching is more than just content, these websites also have a dedicated page each for study skills (argument constructon, writing) and numerous links to support for mental health wellness, because healthy, happy students find it easier to learn. My research always informs my teaching, but sometimes my teaching informs my research: Jester, N. (2018) 'Representation within higher education curricula: contextualising and advocating for feminist digital activism', Teaching in Higher Education, 23 (5): 606-618. Lucy Mercer-Mapstone has written a blog responding to this article and you can read this here. I am not just interested in the students we have now, but the ones that might come to university in future, and have a strong commitment to supporting widening participation activities. I authored a commissioned report for the NUS about taught masters students' experiences of finance (2012), and aided in the final stage of the Paired Peers project as a research assistant coding interviews using NVivo software (2013). In July 2014 and July 2015 I delivered a lecture on Marxism and the Hunger Games for the widening participation schools conference, and in October 2015 I participated in Access to Bristol. 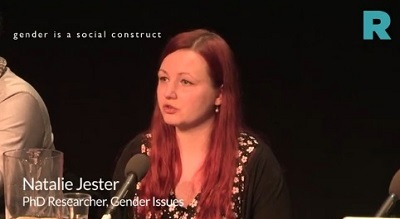 More recently, our De-coding Gender in the Media workshop was funded by the faculty Widening Participation fund. 10/04/2018 Speaker, Alumni Association talk for current students: what have alumni done with their studies at the university? Edit this profile If you are Ms Natalie Jester, you can edit this page. Login required.